Prestige Lakeside Habitat a new residential projects by Prestige constructions. The luxury residential apartments overlooking the scenic varthur lake by the Prestige Constructions is Prestige Lakeside Habitat, a unique venture. These Homes are situated in the area Varthur of Whitefield, Bangalore. The area consumed for building these luxury homes is across 102 acres of green land. These are of 3426 Spacious Apartments with 1,2, 3 and 4 Bedroom Configurations with the best suitable amenities. Prestige Lakeside Habitat pestige Lakeside Habitat has sprawled over the area of wide acres of the open space for the Breath of Fresh Air in everyday life. The atmosphere is very suitable for all the apartments in the Lakeside Habitat for the people in thought to invest. The Life in the Prestige Homes will be beautiful for them in the day to day needs of the family such as Offices, Schools, and Entertainment purpose. 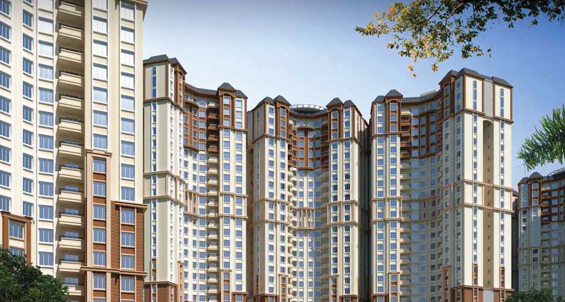 The luxury residential apartments overlooking the scenic varthur lake by the Prestige Constructions is Prestige Lake Side Habitat, a unique venture. These Homes are situated in the area Varthur of Whitefield, Bangalore. The area consumed for building these luxury homes is across 102 acres of green land. These are of 3426 Spacious Apartments with 1,2, 3 and 4 Bedroom Configurations with the best suitable amenities. A majestic and luxurious residential township, Prestige Lakeside Habitat is a Disney-themed ready to move-in project by the Prestige Group. 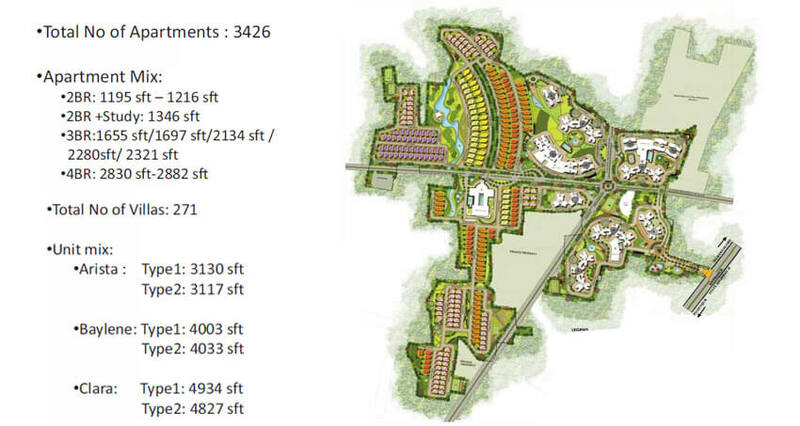 The project is spread across a massive land expanse of 102 acres with 80 acres of land area dedicated to open areas. The project offers residential units with top class specifications that meet the expectations of the lifestyle of the urban population, yet Lakeside Habitat ensures well-being and easy life with all the needful residential facilities for the property owners in this project.The project is a mixed development and will consist of Apartments, Villas along with Office Spaces and Shopping facilities in the lines of Prestige Shantiniketan. Prestige Lakeside Habitat is a luxury project by the Prestige Group. This project is Located on Whitefield-Sarjapur Road and spread over 102 acres, it consists of 3426 luxury apartments in 1, 2, 3 and 4 bedroom configurations as well as 271 luxury villas set in their own private gardens. Prestige Lakeside Habitat brand new residential apartment project by Prestige Group in the rapidly expanding neighbourhood of Varthur ? Whitefield, Bangalore. Beautiful landscapes all around Prestige Lakeside Habitat makes it more special & Elite. The builder is guaranteed to bring a quality living experience to the community of Varthur ? Whitefield with brilliant architecture and equivalent lifestyle in Prestige Lakeside Habitat. The magic of Disney suffuses the air and will make living here a truly enthralling experience. One captivating facet of Prestige Lakeside Habitat is the humungous 80 acres of open landscape available to you. A newly launched Prestige Lakeside Habitat Project is another milestone for the success story of the Prestige Builders. This project is located near the Varthur Lake of Whitefield, closely to the IT Hub. The apartments in the Lake Ridge are very comfortable for all the members in the family for the daily needs. This location is very useful for the IT Professionals working in the IT Hubs to Own a Prestige Homes. The project is perfect for the buyers who own the apartments in the Lakeside Habitat. The project comprises of the varthur scenic lake which gives the beautiful atmosphere all around the apartments for the peaceful living lifestyle in and around the apartments. These homes are built with a good quality for the attractive users and investment purpose. Prestige Lakeside Habitat Apartments in Bangalore is a new residential project that is one among all the Prestige projects by the Prestige Builders which is overlooking the scenic Varthur Lake in the Whitefield of Bangalore. This residential project in Bangalore is comfortably located by offering the best amenities combined with the refreshment of the Fresh Air and Peaceful Environment. Prestige Lakeside Habitat by the Prestige Group in Varthur is an advantage of the Buyers who enjoys the close proximate of the varthur lake and also the beneficiary of the IT Professionals owning the prestige lakeside habitat, a residential project. It is one of the best residential property in Bangalore. The floor plan of Prestige Lakeside Habitat enables the best utilization of the space. From Attractive Flooring to the Spacious Balconies, Kitchen with High Quality Tiles, and an every little detail gives the buyer, an attractive look. The Prestige Group is offering 3BHK and 4BHK Luxurious Apartments in the Varthur of Whitefield. The Master Plan of the project is comprising of 271 Planned Villas that is collectively giving a result of Luxury Lifestyle. The Price is very affordable for the people to Own a Luxurious Apartments in Bangalore. The main Advantage of the project is the Location for those who are looking for the Investment, This property in Bangalore provides many of the Schools, Colleges, Hospitals, Re-Creational Areas, Parks and Other Facilities nearby Varthur. The address of Prestige Lakeside Habitat is Varthur, Whitefield-Sarjapur Road, Bangalore, Karnataka, INDIA - 560087. Bank and Legal Approvals of Prestige Lakeside Habitat comprises of Bank of Baroda, HDFC Bank, Axis Bank, LIC Housing Finance Ltd, State Bank of India, HSBC, ING Vysya Bank, Standard Chartered Bank, DHFL, Citi Bank, IDBI Bank, ICICI Bank, HDFC Home Loans and All Leading Bank, BBMP, BESCOM, BWSSB, KSPCB, BSNL, A Khata and FIRE NOC. The Life in the Lakeside Habitat Apartments is very peaceful according to the health and wealth of the buyers of its perfect atmospheric location. This home gives you the immense pleasure of the family members to lead a prestigious life. The connectivity between the roads of the prestige homes are also an easy driven for all the facilities of the members in a family. Prestige Constructions has been established as one of the leading real estate developers in India and started the Prestige Residential Projects and got a good fame mainly in the City Bangalore. This group has founded in the year 1986 by Mr. Razzak Sattar, the Founder of the Prestige Company. He had a great start with over all 195 projects at 67 million sft, and also 65 Ongoing Projects covering at 70.45million sqft and 36 Upcoming Projects to 48 million sqft with world-class amenities. Now, the Group is handling overall 150 residential projetcs across the city. The company has brought many of the projects in overall the major cities across the South India. It includes Bangalore, Hyderabad, Chennai, Mysore and Goa. They have brought Residential Projects, Luxury villas, Open Plots and other commercial projects. The company has successfully completed some Ongoing projects in Chennai to its credit, spanning the commercial and retail segments. Prestige Lake Ridgeis a brand new residential project by the well known real estate builder, the Prestige Group. 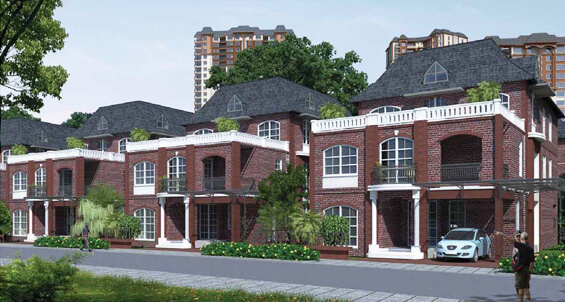 These apartments sprawled over an area of 15.94 acres of green land for the construction of Luxury Flats. It is offering 1BHK, 2BHK and 3BHK apartments along with the amenities. Prestige Boulevard is a new pre launch project by the Prestige Group located in ECC Road Whitefield, Bangalore. It is providing 2,3BHK Apartments within the Budget Range. Prestige Song of the South is the residential project by the Prestige Group coming up in Begur, Off Bannerghatta Road in South Bangalore. This development has spread across 33 acres of land area offering 1, 2, 3 & 4 BHK apartments. Prestige Green Moor is the new renovation by the most reputed real estate builder Prestige Group in Jayanagar, Bangalore offering 3,4BHK Apartments. Prestige Sunrise Park is a new residential project located conveniently in the Electronic City, Bangalore. 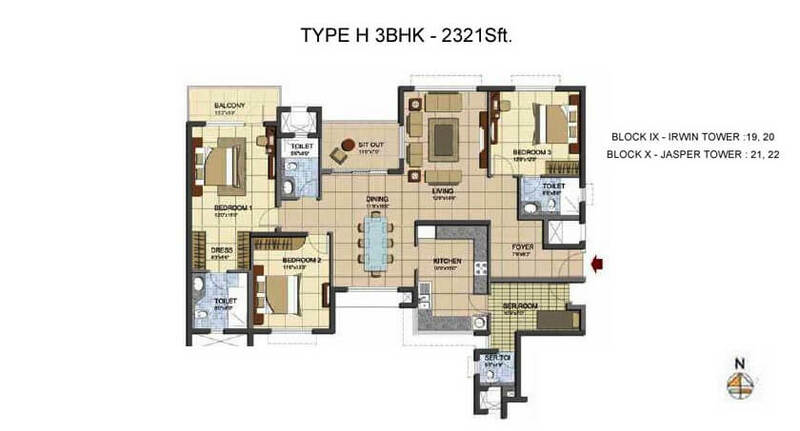 It is offering 2.5BHK and 3BHK Apartments within the Budget Range. Prestige Falcon City is a pre-launch project which has developed by Prestige Group.This is located in Kanakapura Road Bangalore. 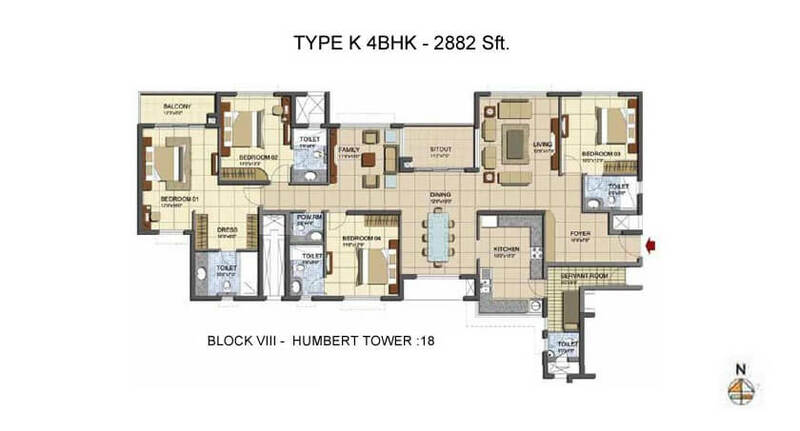 It is Providing 2,2.5,3 & 4 BHK apartments with Affordable prices. Prestige Lakeside Habitat is beautifully designed rising apartments offering 2, 3 and 4 bedroom configuration that are fitted in the area of 102 acres of wide land to construct luxury apartments. These Homes are offering 1,2 and 3BHK residential apartments range in between the square feet of 1195 - 2882sqft using with the different dimensions along the suited features. Prestige Group has given the Prestige Lakeside Habitat Project with overall 3426 Luxury Apartments along with the total of 271 Spacious Villas with the 5220square feet per rate is designed. Prestige Lakeside Habitat Apartments are available for all the common people who are willing to own a flat in Whitefield for a happy living. 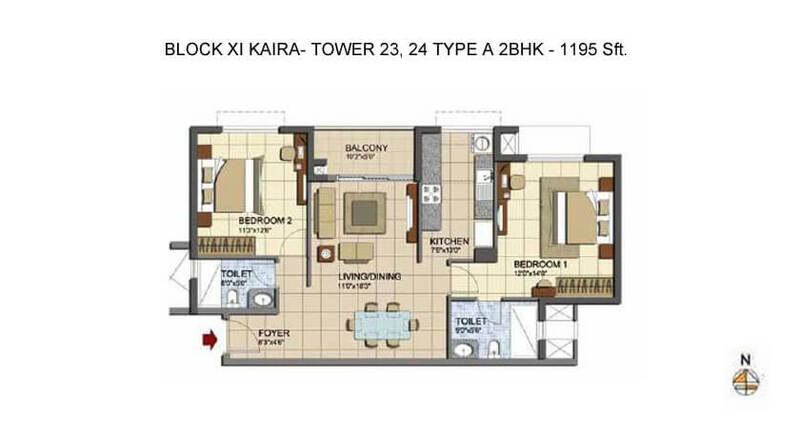 These are brought to us at the best and cheaper rates starting at 65.72 Lacs, 2BHK. These homes offer 2BHK Apartment at 65.72 Lacs and 74.03 Lacs, 3BHK Apartment at 91.02 Lacs. The prices of these apartments are affordable and reasonable. The best quality homes are available only in Lakeside Habitat with better price. 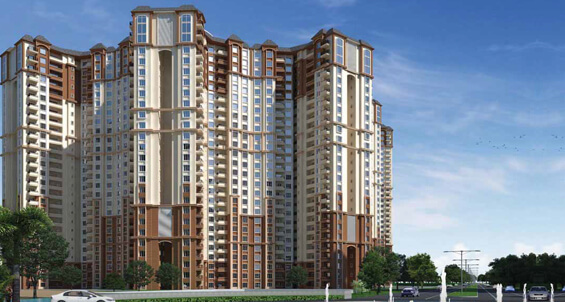 Prestige Lakeside Habitat is offering the World Class Amenities for the Day to Day Living. Prestige Constructions is has built up the project with the best innovative design to attract the people for the living lifestyle. The Amenities such as Gym and Swimming Pool for Fitness and Health Purpose, Play Ground and Play Area for Children to refresh, Community Hall and Club House for the General Purpose, and the special amenity is that a Compound Wall is constructed in between two apartments for the separation. Parking is available for two-wheeler and for four-wheeler. Prestige Lakeside Habitat experiences the living lifestyle which enjoys the nature in 80 acres of landscaped open space with your beloved ones. The atmosphere that you have not seen before will be experienced by you by owning the Lakeside Habitat. Sometimes, buyers will feel that you will be in a world of greenery, for the environment which surrounds the nature of apartments. The Homes are fitted with the Luxury Specifications such as internally with the Kitchen, Paintings of the Rooms, Perfect Floorings, Cable Connections and many more. Externally with the Greenery, Balcony spaces for the peaceful air, Fresh air falling from the meadows and continues for the lifestyle.